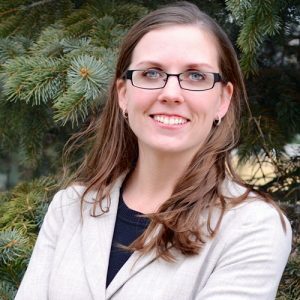 Sarah McAfee has extensive experience in both the non-profit and for-profit health care sectors, focusing her work on increasing awareness of the complex challenges Colorado faces in building an equitable, affordable, high quality health care system, and our opportunities to work together to solve them. She leads our communications work with boundless creativity and ambition, from designing infographics to directing media relations and everything in between. Known for being able to do a lot with a little, she excels at turning chaos into order and making the boring, beautiful. Sarah believes in the power of storytelling to change hearts and minds, and aims to lift up the voices and stories of Coloradans who face the greatest challenges accessing health care and living healthy lives. Sarah is a member of the Impact Denver Class of 2015, a previous Board Chair of Tech4Good Denver, and a member of the Colorado Healthcare Communicators, who honored her with their Professional of the Year Award in 2014. Originally from Alaska, Sarah earned a bachelor’s in anthropology and a master’s in public administration from Arizona State University, and then settled on Colorado as a happy medium, temperature-wise. She has been a part of the Center for Health Progress team for seven years. See what Sarah has to say in her blog posts.